First published in 1937, this book grew out of the author’s belief that there needed to be a ‘drastic revision’ of British policy on the North-West Frontier of India (now Khyber Pakhtunkhwa in Pakistan) in order to achieve a lasting peace. 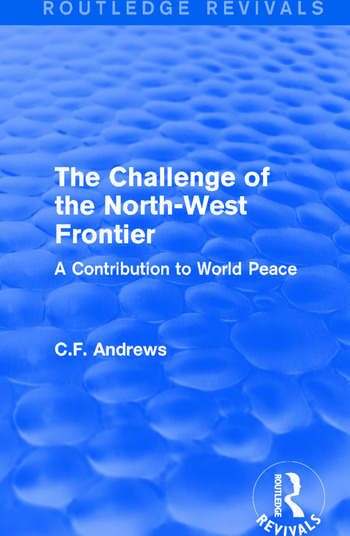 The author examined the causes of continued hostility and non-military methods that might prevent further outbreaks of war — reducing or removing British troops and leaving the settlement of disputes to Indians. He traces the changing attitudes of Indians towards British rule and the increasing popularity of calls for independence while also detailing the wider Indian context. This book will be of interest to students of Indian and colonial history.